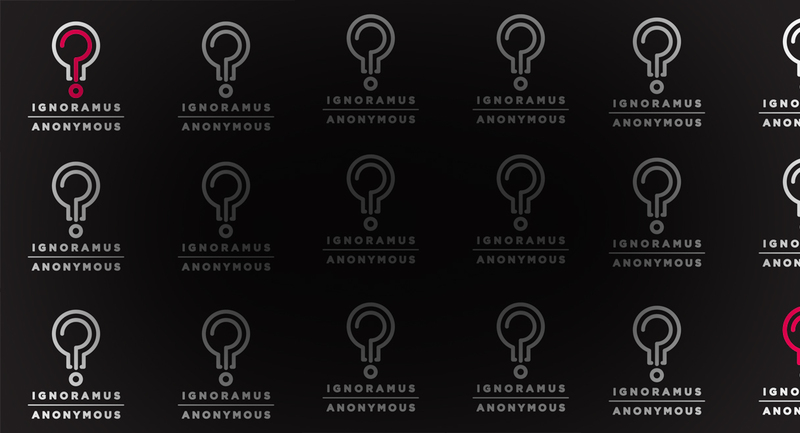 Ignoramus Anonymous is a support group for the ignorant, in other words, anyone and everyone. It’s a space to discuss anything that might cause you trouble or embarrassment, nag away at your conscience or generally puzzle you. It could be an everyday quandary or something more complex. This is a safe space to ask questions, talk about your ignorance and receive support. We’ve all felt the embarrassment that comes from being too afraid to ask the ‘dumb questions’, afraid to admit that we don’t know something. Come along with a topic to discuss or simply sit in silence and take in the discussion – there’s no pressure to join in, it’s entirely up to you. Together we will revel in what we do not know, and what we do not know that we do not know. This simple support group circle allows us all to explore our ignorance, bringing us closer to discovering democratic equality with one another, offering a form of intellectual emancipation and equality of intelligence in all. This project has been assisted by the Australian Government through the Australia Council, its arts funding and advisory body, the C©pyright Agency Cultural Fund, The State Library of NSW, and Waverley Council. Malcolm Whittaker is a cis male from Sydney who works as an artist, writer, researcher and performer. He does this in solo pursuits, as a founding member of performance collective Team MESS and in collaborations with other artists and non-artists. His work is mostly made and executed through the engagement of participants and collaborators in the framing of play spaces that adopt social forms and rituals of popular culture and the everyday. His projects have taken the form of theatre and gallery situations, site-specific and public interventions, performance lectures, film shoots, phone calls, support groups, teeth brushing services, walks in the park, letters in the mail and the borrowing of books from the library. He has made and presented work extensively across Australia, as well as in the UK and Finland. He has done so through a range of initiatives and organisations, including Performance Space (Sydney), Arts House (Melbourne), Museum of Contemporary Art (Sydney), State Library of NSW, The Wheeler Centre (Melbourne), Vitalstatistix (Adelaide), Perth Institute of Contemporary Arts, Campbelltown Arts Centre, ANTI Festival (Kuopio), Next Wave Festival (Melbourne), Proximity Festival (Perth), World Theatre Festival (Brisbane), Junction Arts Festival (Launceston), PACT (Sydney), Field Theory (Melbourne), Firstdraft Gallery (Sydney) and Frontyard Projects (Sydney). Malcolm is currently completing a PhD at The University of Wollongong, where he also works as a sessional teacher.